Wildlife conservation groups have criticized plans by Tanzanian authorities to auction 3.5 tonnes of hippo teeth next week. They said the move could increase poaching. 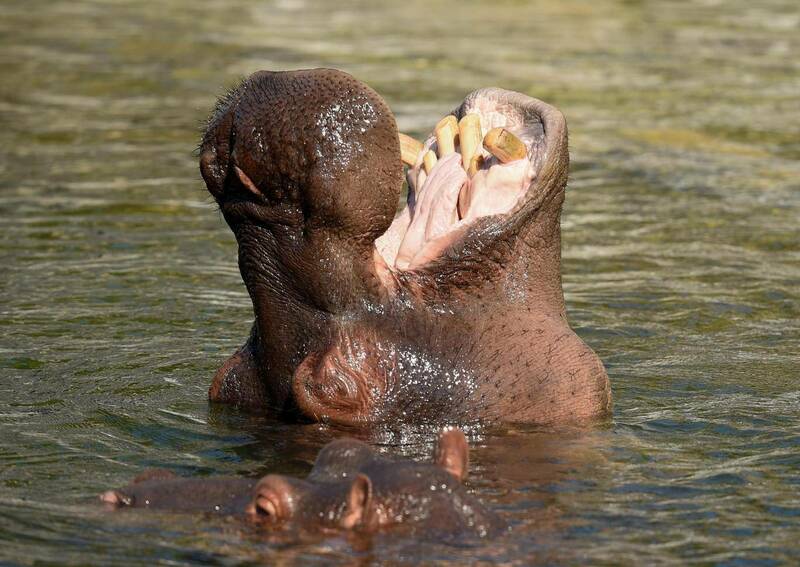 Licensed dealers will be able to bid for 12,500 pieces of hippo teeth at the tourism and natural resources ministry in the city of Dar es Salaam, wildlife authorities in the east African nation said. Conservationist said the sale could encourage the killing of the creatures, which are classified as “vulnerable” on the international “red list” of endangered species. There are up to 130,000 hippos in sub-Saharan Africa, according to estimates. But the animal has become increasingly threatened by a demand for their meat, skin and teeth as well as habitat loss. A regulated trade in hippo parts is allowed under the Convention on International Trade in Endangered Species of Wild Fauna and Flora (CITES). Their teeth are carved for ornaments and sold in parts of Asia.